The countdown is on to our latest accelerator applications deadline! Having ran 13 tech for good programmes to date the BGV team are well versed in the highs and lows of an early-stage startup journey. But we know how important it is to hear from those who have been there and done it. 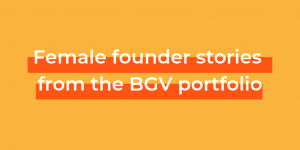 Kindly sharing some first-hand insights, we’ve asked George, co-founder of BGV portfolio venture Nightingale, some questions all about his team’s experience during the programme. Nightingale uses everyday experiences to help students improve their wellbeing. As part of our Autumn 18 cohort Nightingale were also supported through our partnership with The Children’s Society. So, George – can you give a little bit of background to your startup journey before joining BGV? Aaron (my co-founder) and I met on Year Here, the postgraduate course in social enterprise. We became friends while on the programme and worked on a consulting project together for the London Borough of Hounslow before starting Nightingale. The idea has changed since we started and at first was all about improving communication around mental health in schools – when we were working in schools we saw how the channels for this communication are often unclear. We’d known of BGV as the tech for good accelerator for quite a while and had tried to apply for a previous cohort but were rightly rejected! We’d just finished another accelerator, Resurgo Ventures, and wanted to receive more tech-focussed support before piloting our service. When you decided to apply to BGV, what were you hoping to get from the programme? 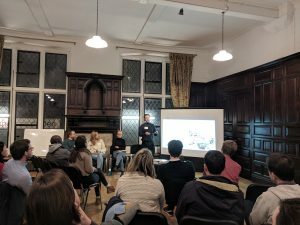 We knew the programme had an excellent reputation and had helped some people we knew massively – we were also very excited by the prospect of working with The Children’s Society. While we needed the funding to carry out our short term plans, the most important factor for us was the long-term support and insight we knew we could receive from BGV and The Children’s Society. 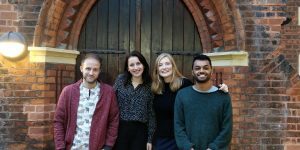 Nightingale were part of our last cohort – how did you initially find joining the programme? It wasn’t a shock to the system but it was certainly a step-change for us as an organisation. We found ourselves being challenged on parts of our business which we thought were fixed – but this was exactly what we needed. Throughout the process did anything take you by surprise? After the first three weeks of the programme we realised that we hadn’t spent long enough understanding our users and testing our assumptions. As a result we stopped all software development and reoriented our activities around learning and testing. This came as a big surprise but was definitely the right thing to do. While we were confident in our financial projections and ability to understand the numbers that underpinned our business model, the ‘operational and financial modelling’ sessions showed us that there was a lot more we could do to understand those assumptions. From all the areas covered with a range of workshops, which was your favourite? ‘Designing with people in mind’ was my favourite session. The quality of the speakers was very high, it really made us question our service and how we can ensure it meets the needs of our schools and students. The advice was very practical and it was these sessions that ultimately led to our pivot. So are there any lessons you took from that workshop that you’re still implementing? Absolutely. We now structure all of our activities around what we need to learn and test. We now continually assess what assumptions we need to address and how we can do that. This process is embedded into our project management and team processes. You were supported by our partnership with The Children’s Society – what additional value did they bring to the table for you? The team from the The Children’s Society were incredibly useful throughout the programme. At the start we had a meeting to establish what support they could provide and throughout the 12 weeks they were on-hand to give advice, feedback and just be a sounding board. The Children’s Society have phenomenal expertise, so their insights and support were invaluable. For example they really made us think far more about the way schools operate and how our service needs to take into consideration how young people navigate the behavioural and pastoral systems, as well as the safeguarding processes. They also challenged us to think about how to make the service as desirable as possible to young people. Launching and running a startup can be tough – what did you find most challenging about the accelerator experience? The most challenging part of the programme was finding the time to implement everything we were learning while also doing everything else we needed to do to move Nightingale forward. It definitely tests your ability to prioritise! If you were to give any advice to a startup joining the accelerator about how to get the most out of the programme, what would you say? Do it full-time! And be open to change, both in how you operate and what you prioritise. Finally how have the past few months been since completing the accelerator and what are the next steps for Nightingale?